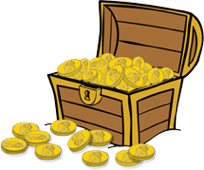 Avast, tharrr be loads of swashbucklin' fun for all ye pirate lovers out there—including family crafts and snacks! 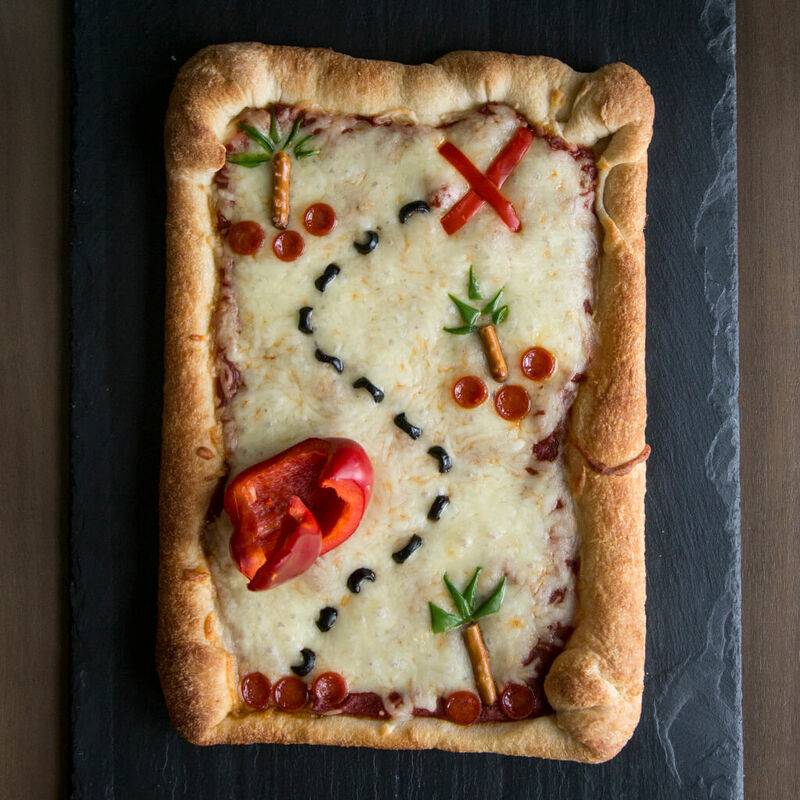 Make like a pirate and dig in, matey! 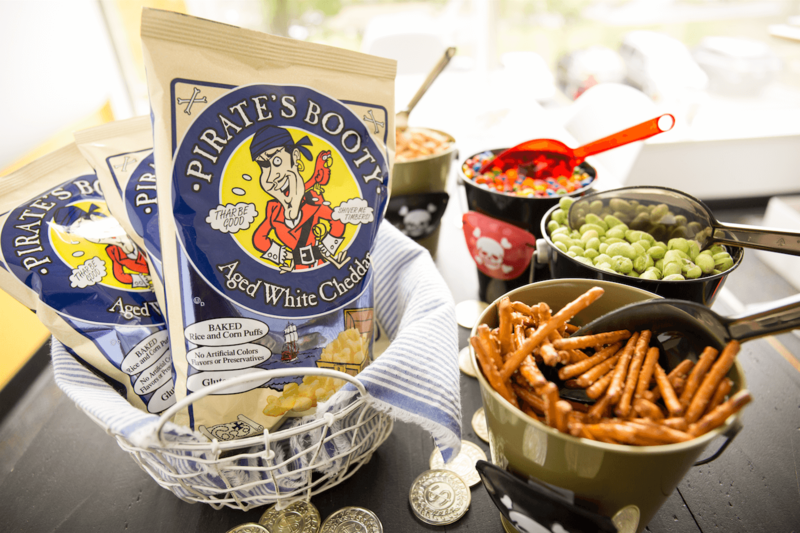 The comfort of yarrr living room + the fun of movie theater snacks = a great way to spend the night IN! Who’s up for a movie? 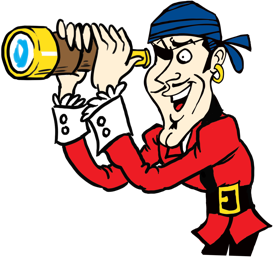 Enjoy this delicious salute to the Jolly Roger! 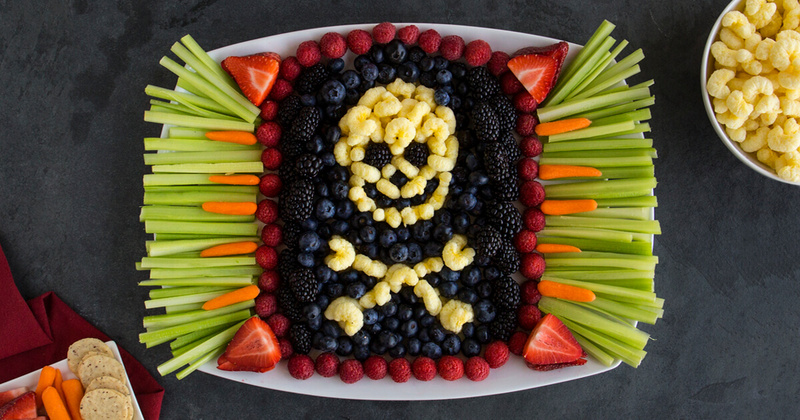 Recreate our snack spread for yarrrself with a dark fruit background and Pirate’s Booty® as a smiling skull and crossbones. This bubbly, kid-friendly drink comes complete with a fish swimming inside! Just mix sparkling water with yarrr favorite fruity drinks and you’ll have pitcher-perfect punch. X marks the spot where we upped the pizza ante. 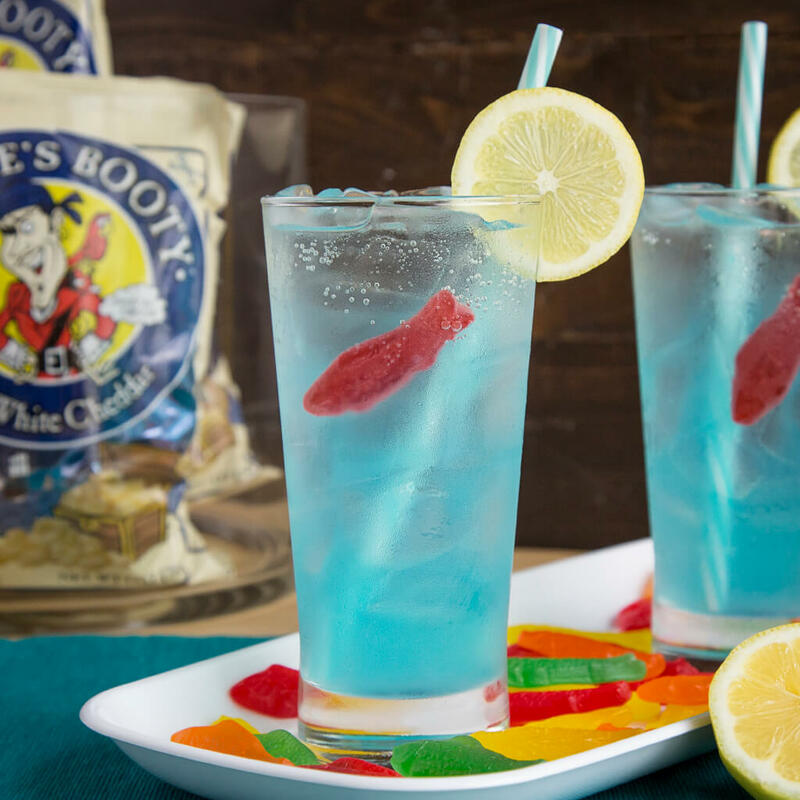 Add this to yarrr game day snack lineup and you’ll be sure to strike gold! Yarrr snack ship has come in! 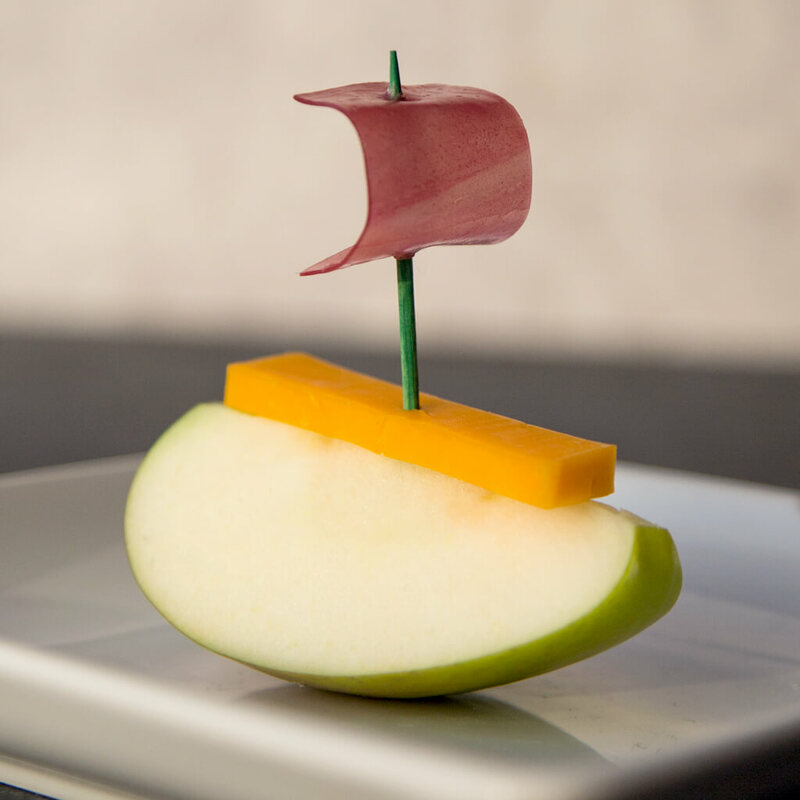 With an apple, some cheese, and a fruit strip ye can make a fleet of these! 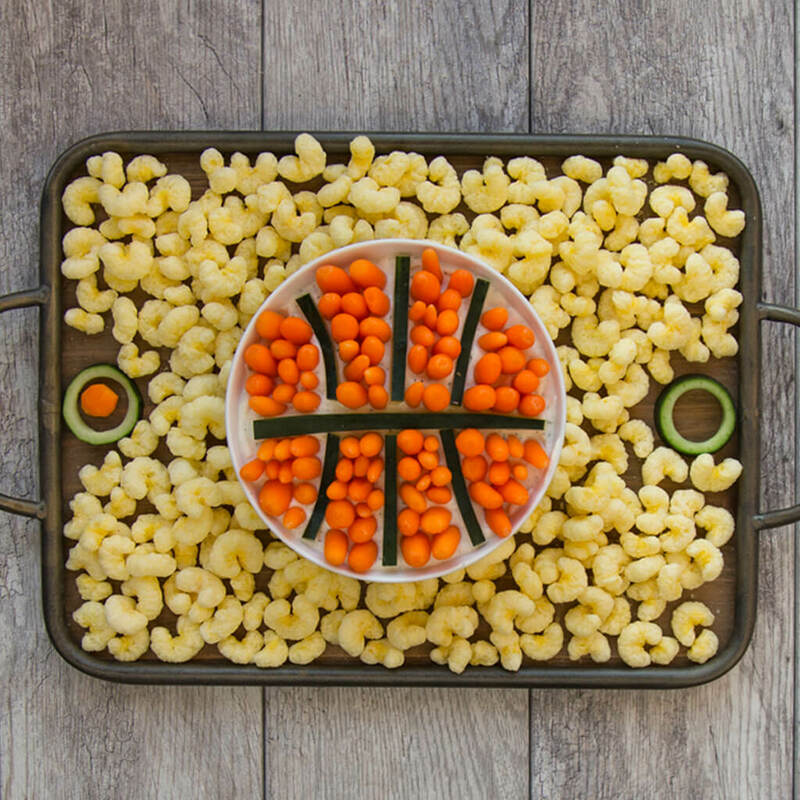 Game time meets snack time in this slammin’ spread. Starrrt with a bowl of dip, dunk some carrots and cucumbers, and get ready to have a ball! 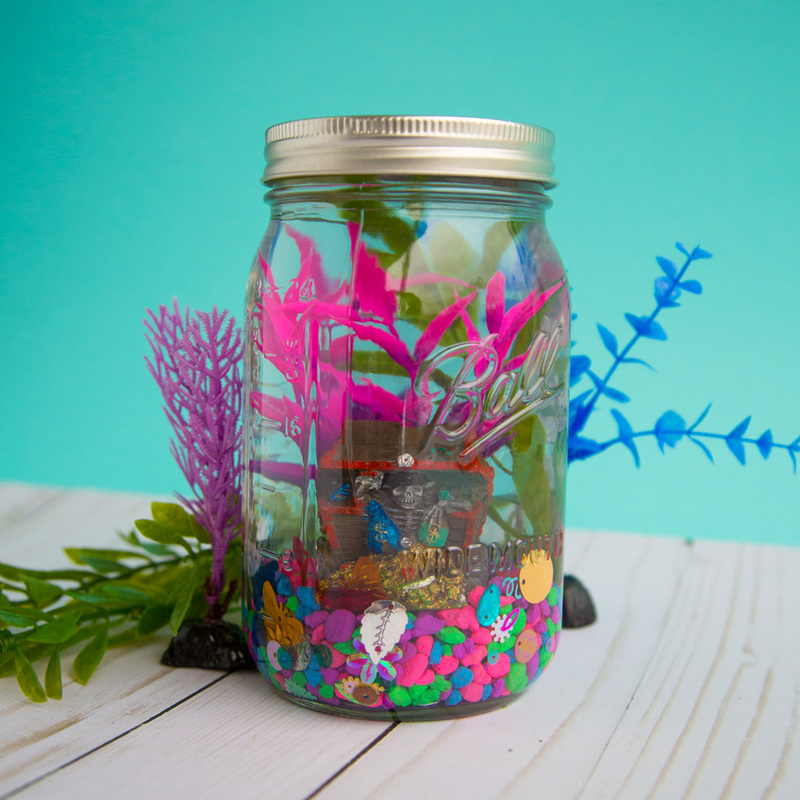 Yarrr little ones will treasure this aquarium that you can assemble in a few minutes. It won’t require any cleaning (or FISH) to look great! 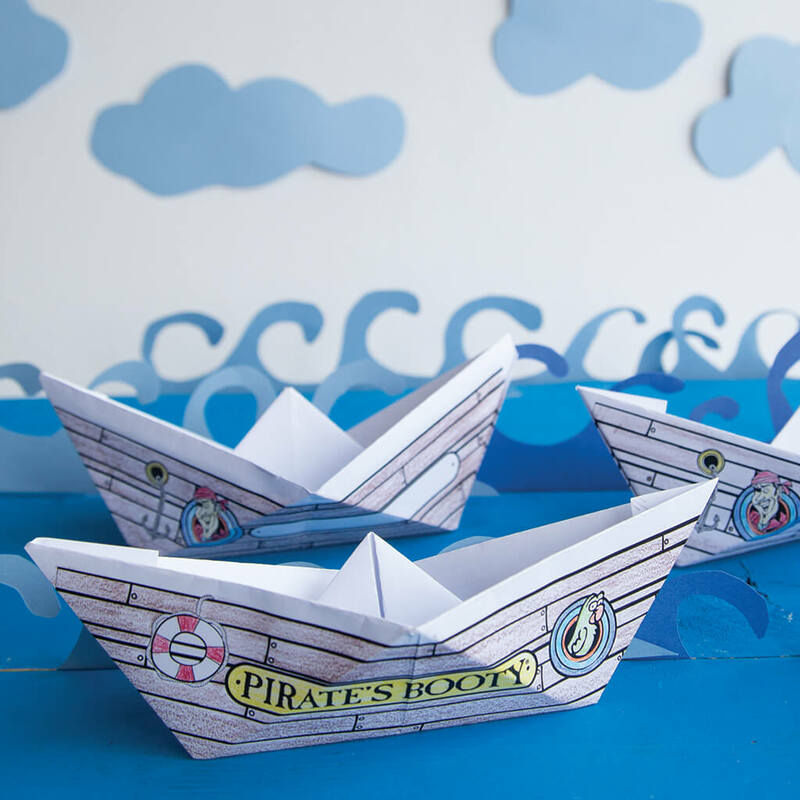 Fold, fold, fold yarrr boat… ;-) Practice ARRR-igami with your kids and impress them with your boat-folding skills! Get yarrr markers ready! 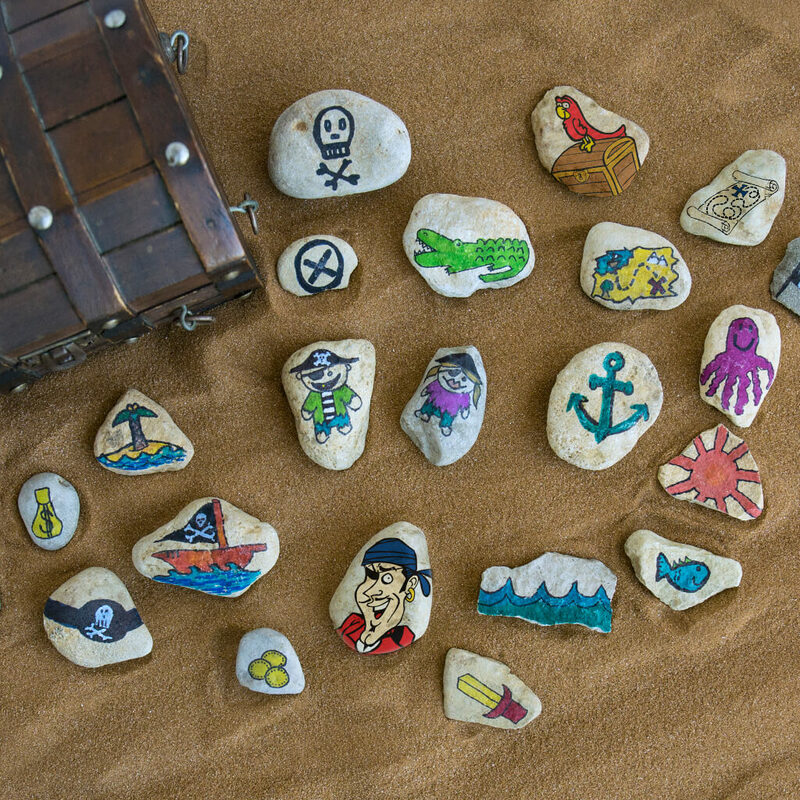 With these story-building stones on hand, you’ll always have a fresh story to tell. Just grab a new stone when ye want the story to take a turn! With a portrait puzzle, you can bring yarrr family together whenever you want. Literally! Paste a picture on each side for extra possibilities.